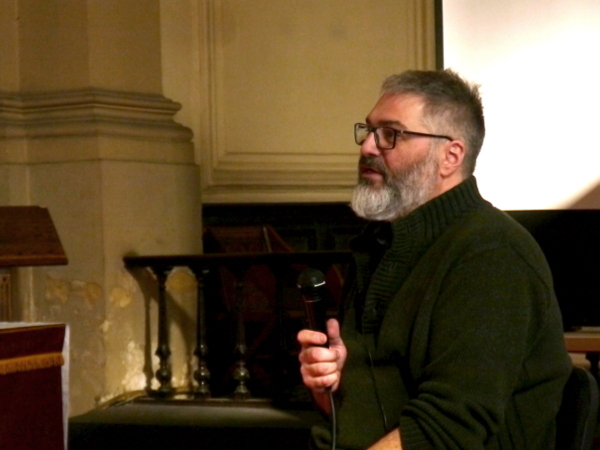 At our recent Leeds Lit Fest 2019 event, at Holy Trinity Church, Dr Helen Reid spoke to illustrator Si Smith (How to Disappear Completely and Abide With Me), about his new graphic novel, Signs; its inspiration, meaning and the process of creating it. Signs is filled with images of the city centre in Leeds and explores the positive impact of strangers amongst us. You will be struck by the places you recognise, and your sense of recognition of bigger truths in the short stories it contains.